Shoulder pain can result from numerous factors. Many people normally search for medical help to treat their symptoms after experiencing an injury from an accident or if aging begins to present discomfort in the shoulder joints among other but, a common diagnosis for shoulder pain is often shoulder bursitis. Shoulder bursitis is a medical condition which causes inflammation of the shoulder bursa. This fluid-filled sac structure serves as a cushion between the bones and tendons in the human body. The bursa can be found near various joints, functioning to facilitate smooth movements and decrease friction between the numerous joints. But, when a bursa found within the shoulder becomes inflamed, it can soon lead to complications and develop into shoulder bursitis. This condition is frequently caused by sport-related injuries, or injuries from an accident. Bursitis in the shoulder is also more common with increased age. Regardless of the cause of injury, the key cause for the development of this condition involves the rotator cuff making up the shoulder joint. The rotator cuff consists of a set of muscles and tendons that maintain the bone of the upper arm in the shoulder socket. Overuse of the shoulder through repetitive overhead movements of the arms or injury due to a fall or while lifting heavy objects can result in shoulder impingement if the bursa becomes inflamed. When this occurs, the inflammation of the bursa causes the rotator cuff to become compressed in between the bones. 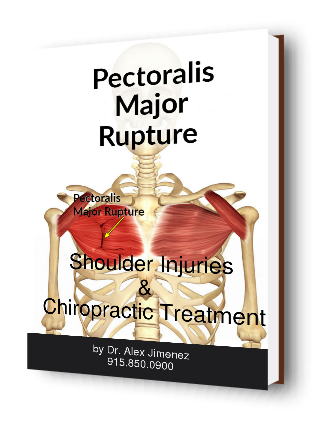 The muscles may then begin to lose strength and the shoulder joint can become unstable. The most common symptoms of shoulder bursitis are pain and inflammation. The majority of individuals may experience acute pain while participating in physical activity due to bursitis. If the condition worsens, pain could be felt even at rest. Once the pain and swelling becomes severe, the individual could experience loss of motion of the joint or could develop another condition known as frozen shoulder. Visibly, the condition could cause the affected area to become warm to the touch and the skin may turn red.